A regular kitchen can be turned into a science lab for kids with the help of Kide Science’s learning materials. 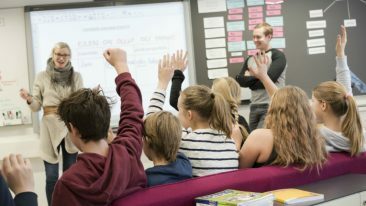 A science academy that ignites the spark children have for learning – Kide Science is an idea that could only come from Finland. Now, it’s in demand all over the world. Mum, where do rainbows come from? Dad, why are some flowers yellow and some blue? Uncle, why do carrots go soft when they’re boiled? The questions children pose can sometimes be baffling – and very difficult. Yet still, the worst possible answer is to tell them to stop wondering. 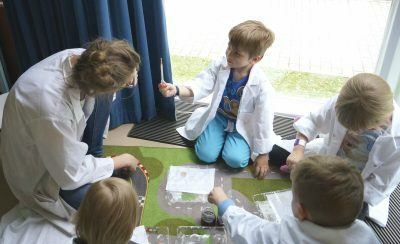 Making use of children’s instinct to wonder and ponder is at the heart of Kide Science’s philosophy. 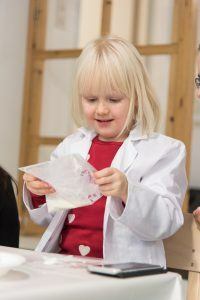 Hurme-Mehtälä is the CEO and co-founder of Kide Science, a company that has set out to teach science to those as young as three. Its aim isn’t to make all children physicists or biologists; instead, it wants to embrace children’s natural curiosity and nourish it. This is helpful not only to children, their parents and educators, but also society in general. 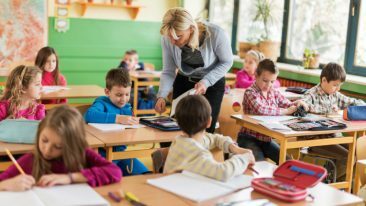 Learning an inquiry-based approach helps to raise the problem-solvers of the future. 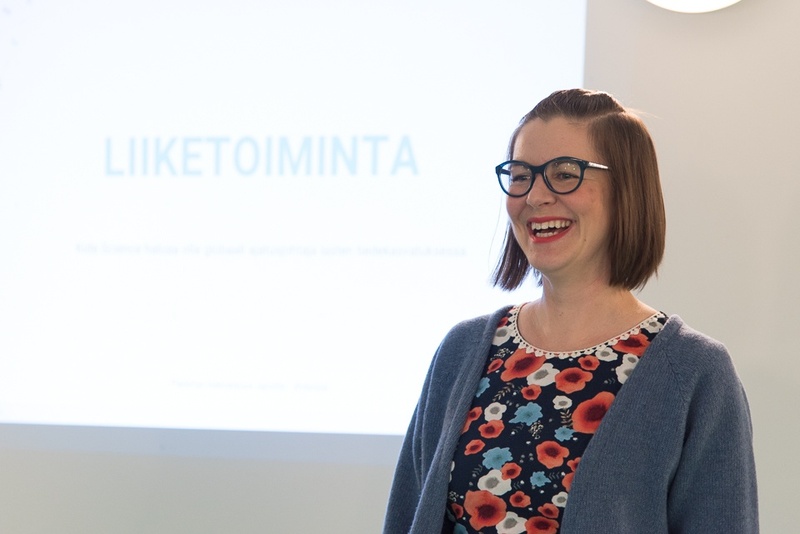 Kide Science’s academies are based on a doctoral dissertation by Jenni Vartiainen, one of the company’s founders. In order to conduct her research, she needed to organise science clubs for small children. Once the study was completed, both parents and kids had grown so fond of the academy that they wanted to continue with it. That’s when Hurme-Mehtälä and Aino Kuronen stepped in, and the company was founded. Kide Science wants learning to be fun and motivating. The first commercial endeavours took place in Helsinki last year. As the academies proved increasingly popular, the trio had to think about ways of scaling their business. Soon they partnered with Finnish daycare provider Touhula, which has over 150 kindergartens around Finland. 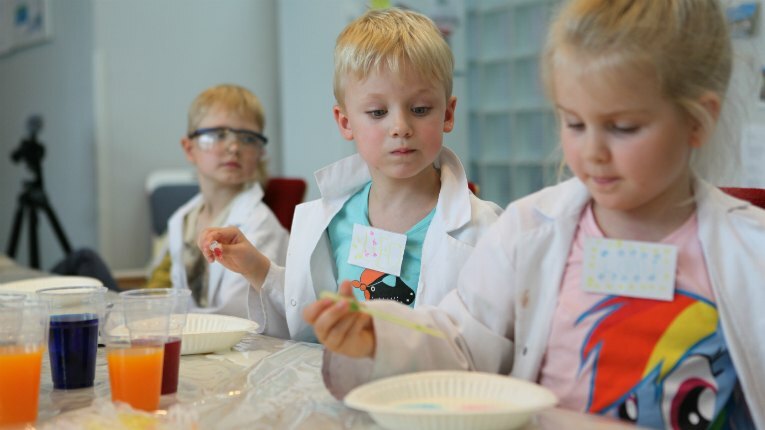 On top of its core business, Kide Science has published a book, created a television show for kids in collaboration with Finnish broadcasting company Yle and welcomed a fourth owner, Reaktor Ventures, on board. The next big plans lie outside of the home country’s borders. Now, Kide Science is about to send one of its team members to Peru, where local institutions will be adopting the Finland-born model. Colombia is next in line, and hopefully the rest of Latin America will follow. Other Nordic markets are of interest, and requests have been heard from China, Dubai and Belgium, too. The business model will be adopted to suit each market, be it franchising, partnerships or simply teacher trainings. Hurme-Mehtälä admits laughingly that they’re not always even sure where parents and teachers have heard about them. If responding to enquiries flooding in wasn’t enough work, Kide Science is also on the brink of piloting a digital product that provides learning materials for both schools and individual consumers. The storyline is the same: a character travelling between two universes guides children in experiments. The goal is to help kids understand that the world is indeed full of wonders – but most of them comprehensible. This is conveyed in the company’s name too. It combines three words: kid, idé (idea in Swedish) and kide (crystal in Finnish). “For example, water molecules form ice crystals when they freeze, and explaining this process to a child can be a crystallising experience!” Hurme-Mehtälä points out – pun intended.